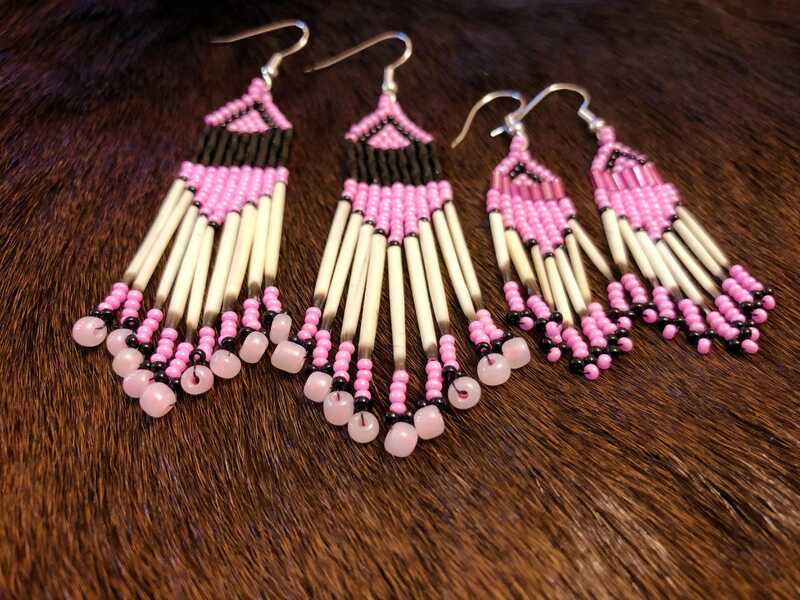 Authentic Native American mother/daughter earrings. This is a set of two pairs. 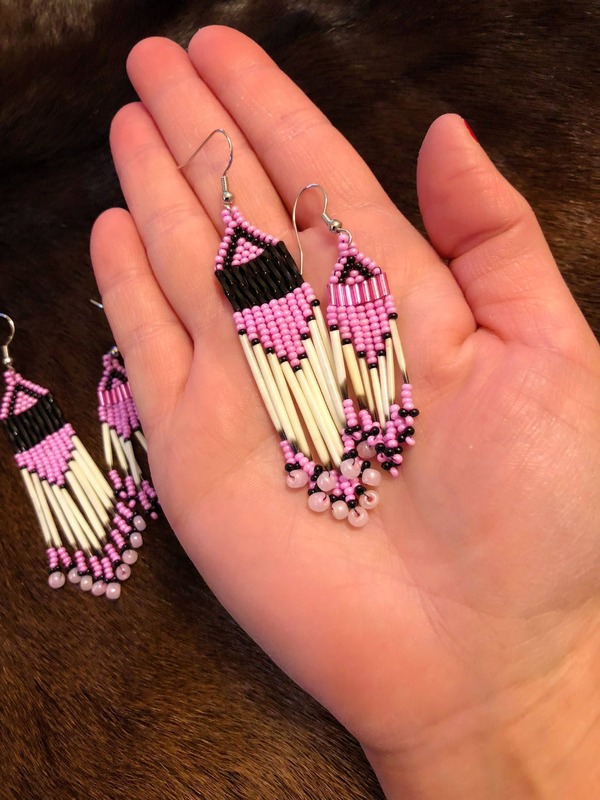 Made with glass beads and porcupine quills. 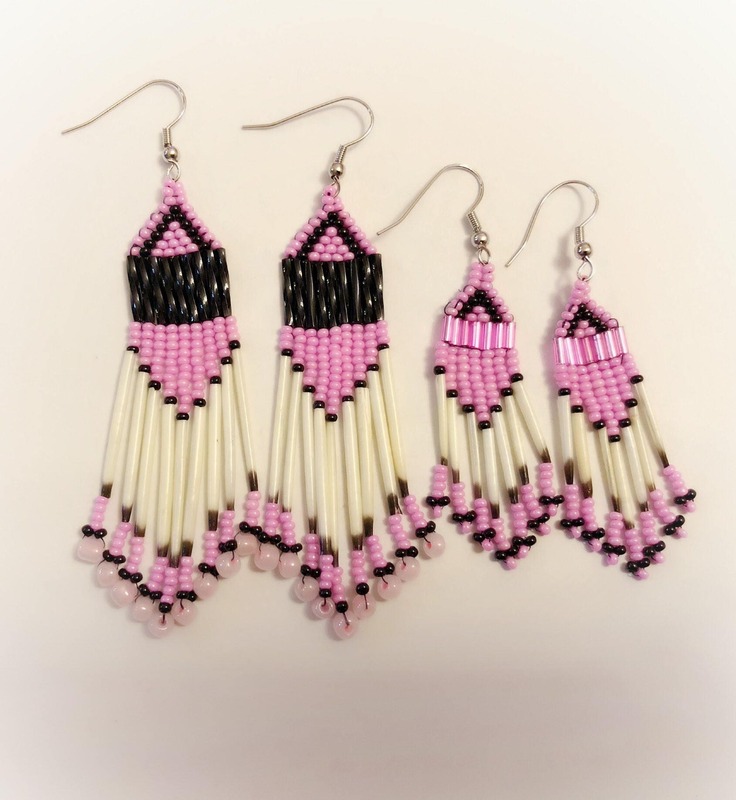 The larger earrings are 3” in total beaded length, the smaller pair is 2” in total beaded length. 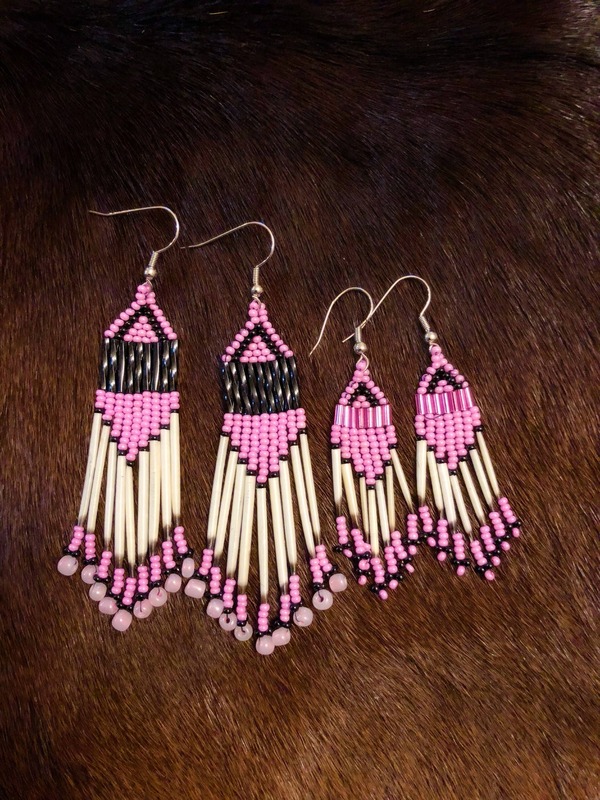 Each pair of earrings is unique and one of a kind.